← What DCIM Tools? You Mean Spreadsheets and Tape Measure? A PDU (Power Distribution Unit) is an electrical component that distributes power to multiple devices in computer data centers and high energy use areas.Able to handle more energy than ordinary power strips, PDUs can easily power multiple equipment racks. However, choosing the right PDU requires understanding power ratings and load capacity, as well as knowing the power requirements necessary to run the specific devices. A power rating is the amount of electrical power needed to operate a specific device. Ratings are expressed in amps, volts and watts to reflect power usage requirements. Amps, or amperes, reflect the actual electrical current coming through the power lines. Power distribution units are designed to support a specific number of amps or amount of electrical currents. Volts refer to the pressure that moves the amps along a specified path (cable, cord or line). Standard electrical plugs in the United States have voltage ratings of 110 and 120, which is the maximum amount of power they can handle. 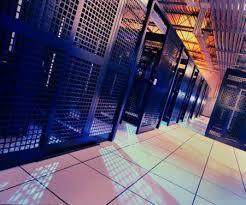 Watts represent the actual electrical power that a network switch, server or other device uses. Load capacity refers to the maximum amount of power required to operate a specific device. In a data center where a power distribution unit supports an entire rack of equipment, the PDU must provide the minimum amount of power needed to support the rack’s load. To avoid circuit overload and fire risk, the load capacity for circuits in North America is 80 percent of that circuit’s maximum capacity. For example, a 15 amp circuit has a maximum load capacity of 12 amps. The 80 percent value is the load capacity. Type and number of outlets needed on the PDU and types of plugs on devices. Power rating and power requirement of devices to be supported by the PDU. Infrastructure voltage (in North America 120V and 208V single phase, 208V three phase or 400V three phase). Determine circuits, phase and amperage needed to power the rack of equipment. Decide if switching and metering is required. Establish what, if any, additional features are needed. The most vital part of choosing a PDU for a data center is understanding power rating and load capacity. It could mean the difference between overloaded circuits and down time and increased productivity and profits. This entry was posted in Power Distribution Unit. Bookmark the permalink.